‘non’ is on Iwate’s Rice Brand「Drop from the Galaxy」commercial. Second year in a row. 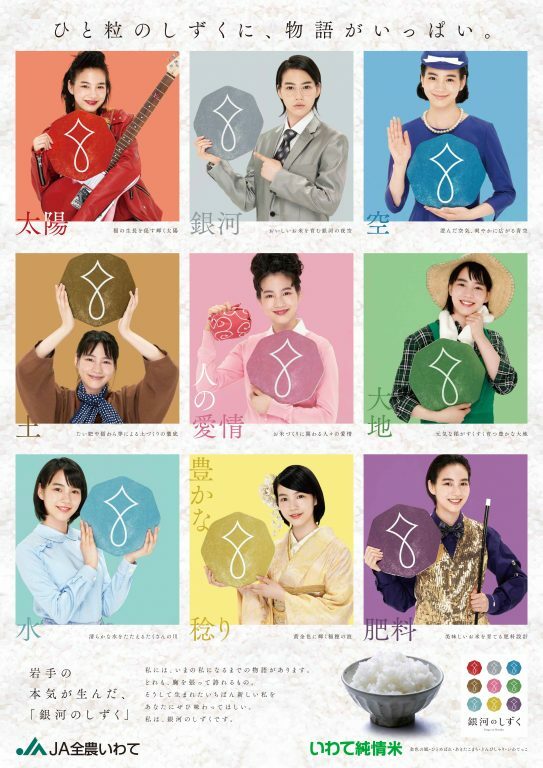 To express the 9 special features of this rice, Non dresses in 9 different styles.